The power of Twitter to change people’s perceptions of a brand has been highlighted in a recent survey into social networking sites. More than 60 percent of people who took part in the survey said they had changed their mind about a product or brand after reading other people’s opinions, or Tweets, online. While 70 percent of users said they had formed a positive opinion of a brand through their use of Twitter, 50 percent said they had also formed a negative opinion. "Twitter's fast growth, coupled with the high level of activity amongst the region's users, is making a number of key regional organisations sit up and take notice,” said Carrington Malin, managing director of Spot On Public Relations, who commissioned the survey. "It's of particular note that 61 percent of those surveyed clearly expressed that their views of a brand or company have been affected through Twitter," said Malin. 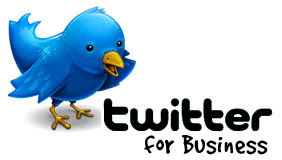 "Simply the fact that Twitter is already influencing brand perceptions in the region is interesting. “The power of Twitter to change people’s perceptions of a brand has been highlighted in a recent survey into social networking sites. “Twitter is clearly able to punch above its weight in terms of influence," she said. The survey Middle East & North Africa Twitter Demographics & User Habits also found that 85 percent of Twitterers use the site to keep up-to-date with news, while 55 percent use it to research opinion.